So many people are talking about how amazing these are!!!! 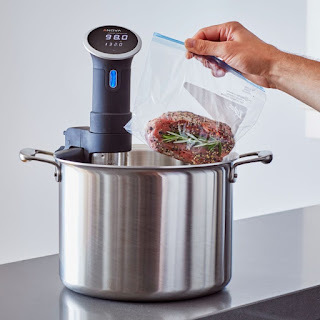 Today ONLY - this *HIGHLY RATED* Anova - Precision Cooker Bluetooth "Sous Vide" $69.99 (Retail $129.99). Master sous vide cooking with this Precision Cooker Bluetooth. The adjustable clamp ensures a secure fit on any of your existing pots, and the consistent digital temperature readout lets you monitor the entire process. This Precision Cooker Bluetooth works with the Anova application so you can start making your meal from your phone.